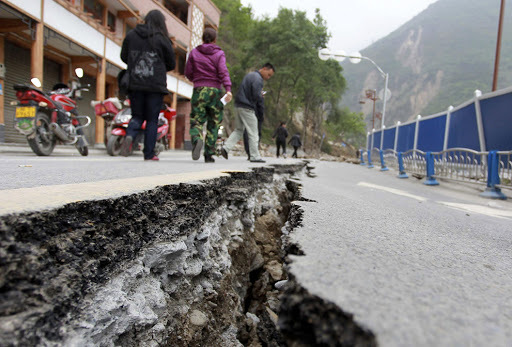 Last Saturday, a powerful and destructive earthquake struck the city of Ya’an in China’s Sichuan province. As of yesterday, the death toll stood at more than 200, with nearly 12,000 injured, 23 still missing, and tens of thousands made homeless. This is an absolutely tragic natural disaster for Ya’an and everyone affected by it, including the many animal residents in that region. The animal rights activists and groups in China immediately responded to the disaster by rescuing the animals in the quake affected region. AAF, IFAW, Sichuan Qiming Companion Animal Protection Center, and Home of Love Animal Rescue Center were some of the first animal protection organizations to arrive in Ya’an. The local animal shelter, Ya’an Small Animal Shelter, has become the base where many of the quake affected animals have been taken at the moment. Beside rescuing all of the animals displaced by the quake (including shelter animals, stray animals, abandoned animals, and those separated from their families due to the disaster), the other critical goal of all the rescue efforts is to prevent a massacre of the local animals by government officials. In 2008, an 8.10 magnitude earthquake struck Wenchuan-Sichuan. The deaths of 12.5 million animals were directly due to the disaster with only 3 million from the area surviving. IFAW, AAF, SPCA, Home of Love Animal Rescue Center and the Qiming Companion Animal Protection Center along with many other grassroots animal rights groups arrived at the quake affected area to rescue animals. This was the first time in Chinese history that a grassroots animal rescue force took part in a disaster animal relief force. Despite the rescue efforts, Qingchuan County, one of the most severally affected areas by the disaster, conducted a county wide termination of all dogs in the name of preventing and controlling the spread of infectious diseases. Overall, China generally is severely lacking in experience related to animal rescue in natural disasters. Termination is often the most effective solution in the minds of the authorities. It is long past time that they realize and understand that there are far better and humane ways to prevent and control diseases after natural disasters. With help from international professional animal protection organizations like IFAW and AAF, as well as recent experiences in conducting animal rescue work after natural disasters, many Chinese animal protection groups and activists responded quickly to the Ya’an quake in an effort to prevent a potential animal massacre from taking place. After careful and systematic planning, the rescue groups have successfully obtained the approval and support from the local authorities to enter the disaster affected areas to conduct animal rescue and disease prevention work. Due to a very limited space in Ya’an local shelter, AAF along with 3 other Chinese animal protection groups decided to build a temporary shelter in preparing for an increasingly large quantity of rescued animals. While the animal activists and volunteers are working restlessly at the frontline to save animals, millions of activists and animal lovers from far away have been working as a strong social supportive force through the power of the internet and social media. 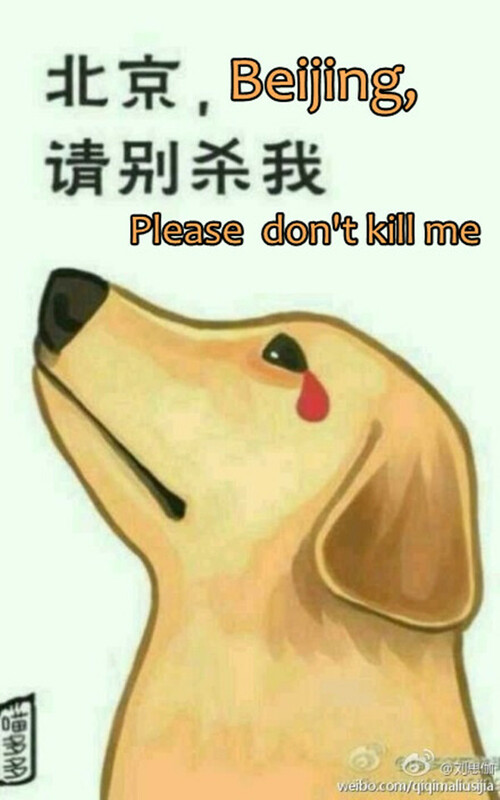 People who care for animals in China are taking this opportunity to educate the general Chinese population about what animals mean to humans. After an aggressive and confrontational dog rescue earlier this month, we are approaching the public with a positive, educational and calm manner. In this way, we are trying to “undo” the evil spin that is often put on the animal rights movement by the government and media. The following are some of the ways in which we are trying to communicate to the general public about how we see animals: Real human and animal co-survival stories; live reports on rescue dogs saving human lives; heart-warming stories about pet owners refusing to give up their four-legged friends; and also some light-hearted comparisons between how each species treats one another. So as you all can see, we are doing are best to bring some good out of the tragedies that have come out of the earthquake. We are working to not only rescue animals in the affected areas and prevent any cruel or hasty action on the part of local officials, but to also begin what we hope will be a growing public campaign to educate the public about how and why we need to treat animals as our equals. As always, the movement is in constant evolution, but I truly hope that this new outreach to the general public could become a powerful tool in gaining greater public support and sympathy for our cause and even more importantly for our dear animal brothers and sisters without whom our world would be meaningless.